Chemists such as Chemist Warehouse are currently stocking ‘Healthy Care Shark Cartilage’ among its range of vitamins. The product claims such health benefits as assisting in “general well-being, joint function and reducing mild pain” despite the (U.S) FDA not being able to confirm any of these claims. 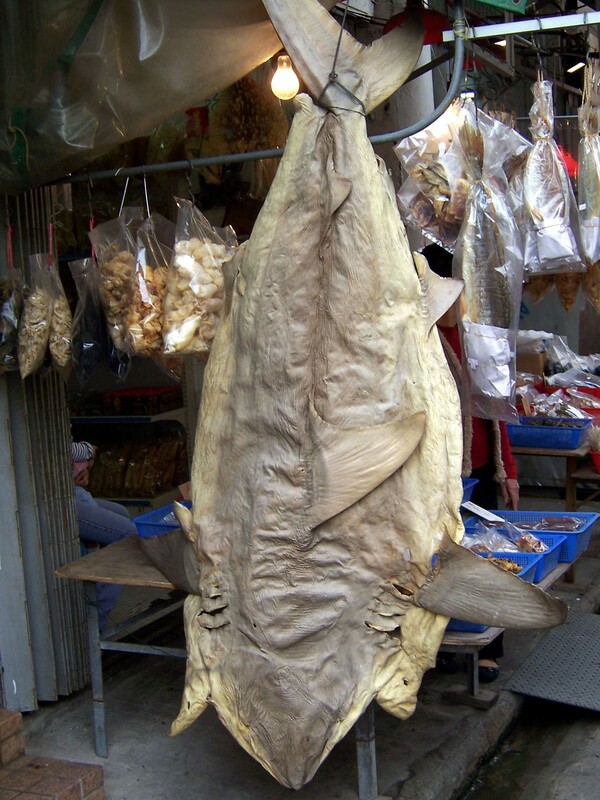 Shark cartilage has long been incorporated into Chinese medicine for its believed ability to benefit a number of internal organs and treat multiple diseases including cancer, arthritis and osteoarthritis. Research into treating tumours with shark cartilage gained significant attention in 1983 when Lee and Langer published a peer-reviewed article titled ‘shark cartilage contains inhibitors of tumour angiogenesis’. Lee and Langer (1983) proposed that “shark cartilage contains a substance that strongly inhibits the growth of new blood vessels toward solid tumours, thereby restricting tumour growth”. Studies conducted on rabbits showed shark cartilage prevented tumours from developing new blood vessels, thus restricting their growth. Since 1983 there have been a number of studies discussing the effectiveness of shark cartilages in cancer treatment, however, the majority of these have been discounted by recent studies as having anecdotal or equivocal evidence (Loprinzi et al. 2005). Efficacy of shark cartilage as a treatment for cancer has been assessed in several recent clinical studies (Loprinzi et al. 2005; Posadzki 2011; Lu et al. 2016). Loprinzi et al. (2005) undertook a randomized clinical trial on patients with colorectal or breast cancer. Test subjects received standard oncology care with either shark cartilage or a similar looking placebo three to four time daily. No significant difference was observed in survival rates or quality of life, with the study concluding that the trial was “unable to demonstrate any suggestion of efficacy for shark cartilage in patients with advanced cancer” (Loprinzi et al. 2005). Lu et al. (2016) demonstrated no significant difference in survival rates between patients with stage III non-small lung cancer who received chemoradiotherapy in conjunction with AE-941 (standardized aqueous shark cartilage extract) and those that received chemoradiotherapy in conjunction with a placebo. No significant difference between time to progression, tumor response rate and progression-free survival with the use of AE-941 was observed. Lu et al. (2016) concluded that it “does not support the use of shark cartilage-derived products as therapy for lung cancer. Recent literature has exposed concerning effects of the addition of shark cartilage into an anthropogenic diet. Mondo et al. (2014) tested 16 commercial shark cartilage supplements from seven different manufacturers for mercury (Hg) and β-N-methylamino-L-alanine (BMAA). BMAA is a cyanobacteria produced toxin that has been linked to degenerative brain diseases such as Alzheimer’s, Parkinson’s and Amyotrophic Lateral Sclerosis (Lage 2016). From the 16 samples tested, 15 contained BMAA and all contained low levels of mercury (0.003 to 0.135 µg/g dry weight). In accordance with the manufacturers recommended dosage of shark cartilage (4.4g), the amount of mercury ingested would fall below the maximum allowable level (USP 2013; Mondo et al. 2014). However, it is not the identification of these neurotoxins in isolation that is of greatest concern, but their synergistic neurotoxic effects (Rush et al. 2012). Rush et al. (2012) demonstrated the synergistic neurotoxicity of methyl Hg and BMAA by combining them in vitro which resulted in a reduction in cellular glutathione, an important neuroprotective brain antioxidant. Although the toxic effects of BMAA are still being quantified, research has revealed that shark cartilage may contain two neurotoxins that have synergistic toxic effects on the central nervous systems of humans (Mondo et al. 2014). Please join Fin Free Soup in helping to remove these products from shelves around Australia by contacting your nearest stockist and asking them to remove shark cartilage from their range of vitamins. Copyright © 2016 Fin Free Soup. All rights reserved.